Dr. David Shulkin headed toward likely confirmation as President Donald Trump's veterans affairs secretary after offering repeated assurances to sometimes skeptical senators that he will work quickly to meet the medical care needs of millions of veterans without dismantling the beleaguered system. A Senate panel set an initial vote for Tuesday on Shulkin's nomination. A vote would come sometime after that in the full Senate, where he is expected to be easily confirmed. "We will hold him accountable on behalf of all veterans to the pledges he made during his confirmation hearing," said Sen. Jon Tester, the top Democrat on the Senate Veterans' Affairs Committee. He and Sen. Johnny Isakson, the panel's GOP chairman, announced their support Thursday for Shulkin. 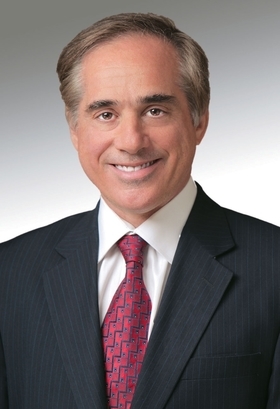 One day before at his confirmation hearing, Shulkin, the top health official at the Department of Veterans Affairs since 2015, cited efforts during his tenure to improve wait times for veterans needing urgent care, such as same-day services in primary care and mental health at VA medical centers. He urged a more integrated VA network in which veterans could seek outside care, but only in close coordination with the VA.
"VA is a unique national resource that is worth saving, and I am committed to doing just that," Shulkin said. "There will be far greater accountability, dramatically improved access, responsiveness and expanded care options." Pressed repeatedly as to whether he may be pressured by Trump to privatize the agency, he told the Senate committee that he believed that VA hospitals offered unique services in treating battlefield injury. "We share a common vision that we have to do a lot better for veterans," Shulkin said, adding that Trump set no preconditions when offering him the VA secretary job. "He knows I will follow my values." Shulkin would be the lone former Obama administration official serving in Trump's Cabinet. As secretary, he would take over amid a conservative push to privatize government services. "Sooner than later, you'll come to a crossroads. And you'll have to choose whether to pursue what you think is best for veterans, or what the president tells you is best for veterans," said Tester, who repeatedly grilled Shulkin about his views on Trump's hiring freeze in the federal government and willingness to consider privatization. Diverging from Trump, who criticized the VA during the presidential campaign as "the most corrupt," Shulkin indicated that wide-scale firings weren't necessary. Trump wants to fire and discipline VA employees, have a commission investigate wrongdoing and create a 24-hour White House hotline to register complaints about the agency. "VA has many dedicated employees across the country, and our veterans tell us that every day," Shulkin said. As undersecretary of health for the agency, Shulkin has managed a system responsible for 9 million military veterans in more than 1,700 facilities. He was given responsibility for improving wait times for medical care following the 2014 scandal at the Phoenix VA medical center. Veterans waited months for care even as VA employees created secret waiting lists and other falsehoods to cover up delays. But his tenure under former VA Secretary Bob McDonald wasn't always well-received. Recent reviews by the Government Accountability Office and the AP separately found limited progress in improving wait times, with VA data often misleading. A forthcoming GAO report this month also will place the VA health system once again on its "high risk" list, citing the potential for significant problems due to waste, fraud, mismanagement or structural flaws. Shulkin is generally supported by the largest veterans' organizations, which have praised steps begun under President Barack Obama to address the VA's problems. They oppose greater privatization as a threat to the viability of VA medical centers. The VA has nearly 370,000 employees and an annual budget of nearly $167 billion. In his testimony, Shulkin did not rule out closing underused VA facilities and said he would explore "public-private partnerships" to avoid building new medical centers that cost too much or take too long to build. There were widely reported cost overruns at the VA hospital in Aurora, Colorado.